Dietrick Group, LLC is a Lehigh Valley, PA based real estate advisory company specializing in commercial appraisal throughout the greater Allentown, Bethlehem and Easton area. We take pride in assisting our clients in making the best possible decisions when it comes to their real estate matters. With more than 50 years of combined experience, Dietrick Group has three individuals who are general Associate Members of the Appraisal Institute, as well as owners and partners with other affiliations and memberships in CCIM, SIOR and IREM. In all, Dietrick Group is best qualified to handle the most complex of projects to the simplest of analyses, with all the professionalism, sensitivity and expertise expected from your most trusted real estate advisors. 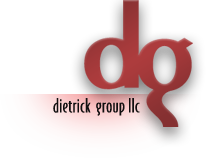 Dietrick Group, LLC – understanding your needs to best facilitate your goals.